Just sometime back, I saw something that truly baffled me in this present era of our existence. Walking past the Lagos Island has been my usual routine for some time now, but last Friday was exceptional when I pictured a scenario that really brought me to thinking of how we would survive the hurricane that is set to manifest in due course. I walked past stands of home videos and books which was coincidentally aligned together around same spot, with the attention given by the bystanders gave me the audacity of course unusual to watch their activities. You will be so amazed by the immense concentration given persons of different age to the movie stand to feed their eyes of the latest in the Nollywood industry which presently has lost true sense of sanity and morality with only very few to reckon with. For the book stand? Very few! Everyday I passed past that book stand and see the works of great men like Myles Munroe, Mike Murdock, Kenneth Copeland, the late Archbishop Benson Idahosa, Joel Osteen, Rick Warren, Brian Tracy, John C. Mawell, Kenneth Hagin, Ben Carson, Richard Templar and a host of others (don’t mind me how I got those names because sometime if we got traffic situation for the day, I pause to take a glance) and I told myself - Ignatius, you haven’t read this, you haven’t read that, what are you waiting for? There are information you are missing which are embedded in these books. I just wish I could get a truck and move everything home! Hope that wouldn’t be covetousness? 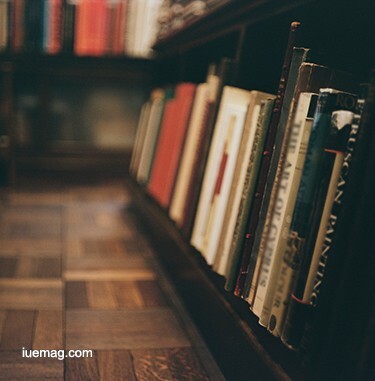 Having a stuffy library wouldn’t be a bad idea, don’t you think so? I recall listening to Myles Munroe on “Your Job is not your Work” where he introduced a book “The Burden of Freedom” shortly after a friend, Impact recommended it, I overheard him saying it took him 27 years to write the book. My point is this like Mike Murdock taught me that you will be learning within hours or days what takes such author years to write and applied it to your life and never fall victims to what they now become victors of. In this present era, if you don’t have desire for knowledge, your life is very much predictable. No good future for you. The desire to be a voracious reader must be kindle within you. I have had great respect for some friends today simply that they possess a wealth of ‘acquired’ knowledge. I want to leave this with you: What turn you on? What ignite a passion to be somebody of notable worth? What triggers you to become the best you can be? What do you spend your time, energy and resources on? What are your priorities in life? What will you engage in today and feel accomplished? Think! Remember, you don’t see things as they are, but as you are! The world only answers to people who know ‘WHY’. My friend, Peter, drew my attention sometime ago to a quote and that is “those who know HOW will get the job but those who know WHY will be their boss.” The boss represents here a state of well deserved place in destiny. For me in the words of Abraham Lincoln (paraphrased) I will keep on studying, keep doing what I know how to do best, for I know one day not far from now my time will come. Your time will come my friend, when you look back from “whence thou cometh” and see how far you have made marks you simply smile and say NO REGRETS because of the GOD factor. Make God your ‘number one’ in all things and He will make you number one in what you do. He will expand your sphere of influence as you genuinely seek HIM. Any facts, figures or references stated here are made by the author & don't reflect the endorsement of iU at all times unless otherwise drafted by official staff at iU. This article was first published here on 28th July 2016. Onuoha Ignatius Obinna is a contributing writer at Inspiration Unlimited eMagazine.